After working as a chemist at a biotechnology company, Leah now enjoys writing about science, gardening, and travel. 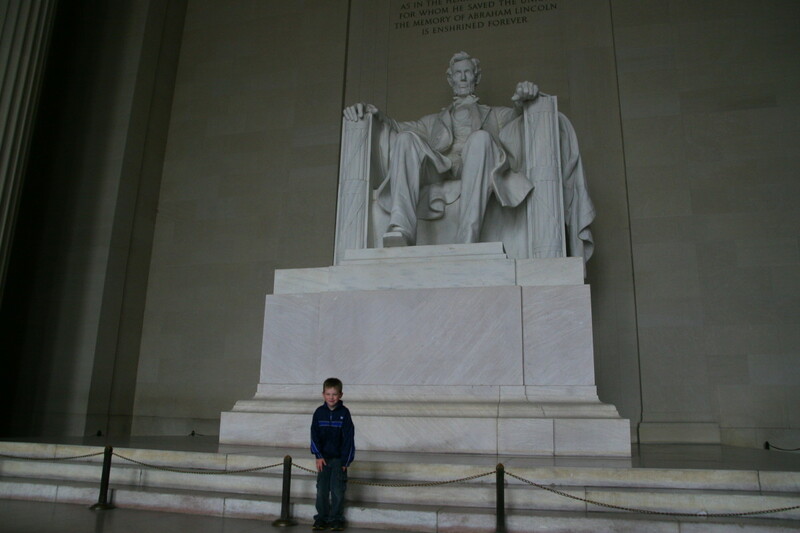 Touring the nation's capital with children takes a great deal of stamina, but is extremely rewarding for kids and adults. The majority of the museums and exhibits in D.C. are free or low cost, which makes the city an extremely affordable option for families. 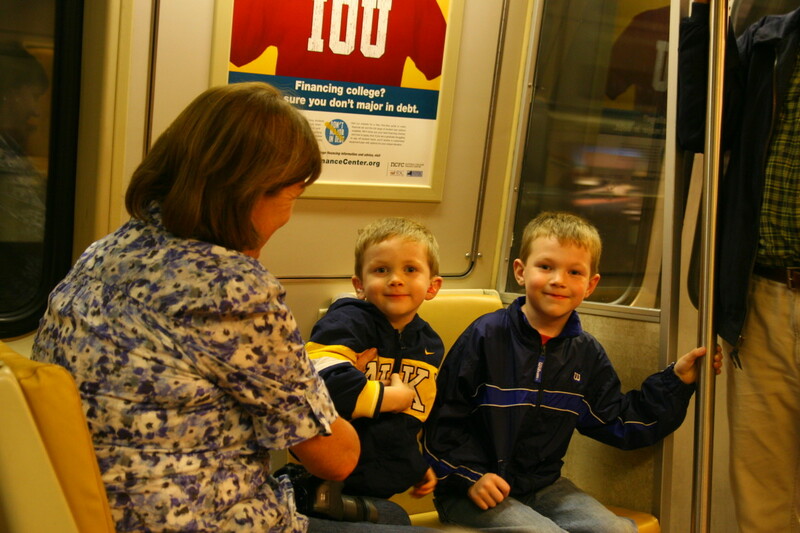 Riding the metro system is a fun and efficient way to get around the city, and seeing all of the monuments and sites in the local area makes history more relevant to kids. 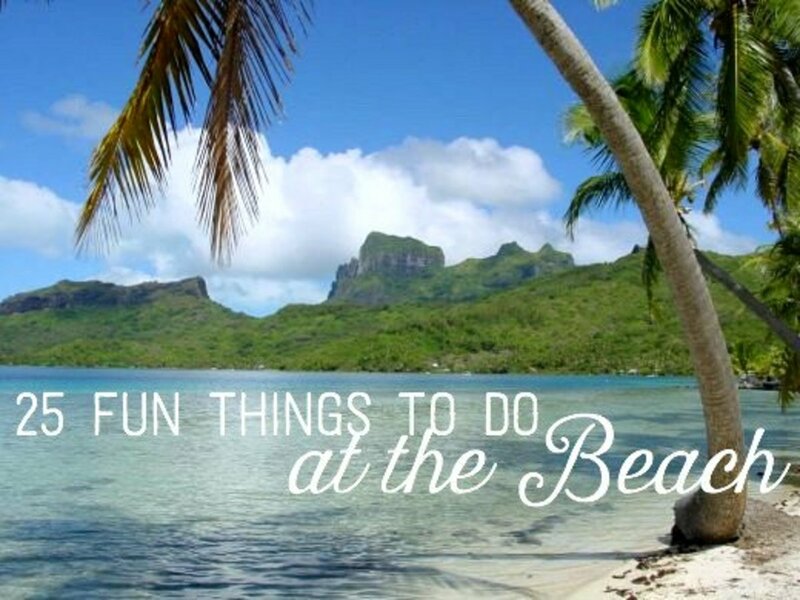 There are so many things to see, that most families cannot fit the entire city into a week long vacation, so slow down and take time to see your chosen attractions in entirety. 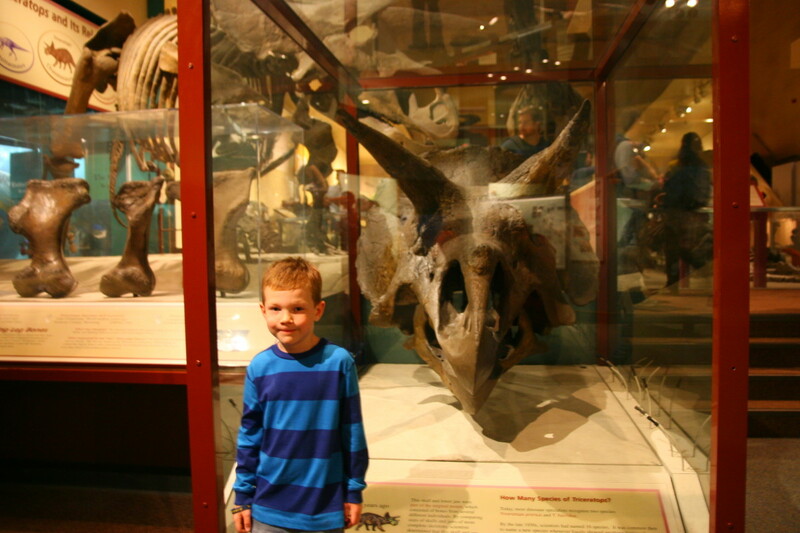 Most of the museums in the area offer hands-on experiences for young children. Kids on the Metro in D.C.
Washington, D.C. is a wonderful city with regard to transportation. The metro is an extremely efficient - and clean - subway system and will allow families to navigate their way around all of the major attractions without needing a car. No food or drink is allowed on the metro system, which helps to keep the trains clean. Maps are available at each metro station to assist families with navigating the various lines. Money is placed on a reusable card - placing $10 on each card will allow many rides on the metro without having to "top up" the card for at least 2-3 days. Do not let young children carry their own metro cards, as they will require the card to exit the metro station at the end of the ride. A lost card will create a bit of a hassle, so parents should carry children's cards to prevent loss. The bus system is also fantastic and is readily available. Families with older children may rent bicycles at several bike rental stations throughout the city, though these bikes tend to be sized for adults. It is possible to drive in the Capital, but not recommended. Parking fees are hefty and the traffic can be extreme. There is a lot of walking required on a visit to D.C.. While the metro stations are plentiful, there is a hefty amount of foot power required to tour the Mall, the Smithsonians, and to get to the White House. Children under the age of six will probably require a stroller or a great deal of rest stops to rebuild energy supplies. A hop-on, hop-off bus tour is available and makes sense for families with young children who may not be able to withstand a great deal of walking. Filled with planes from the first forays into flight to space exploration, this museum offers hands-on exhibits for kids of all ages. 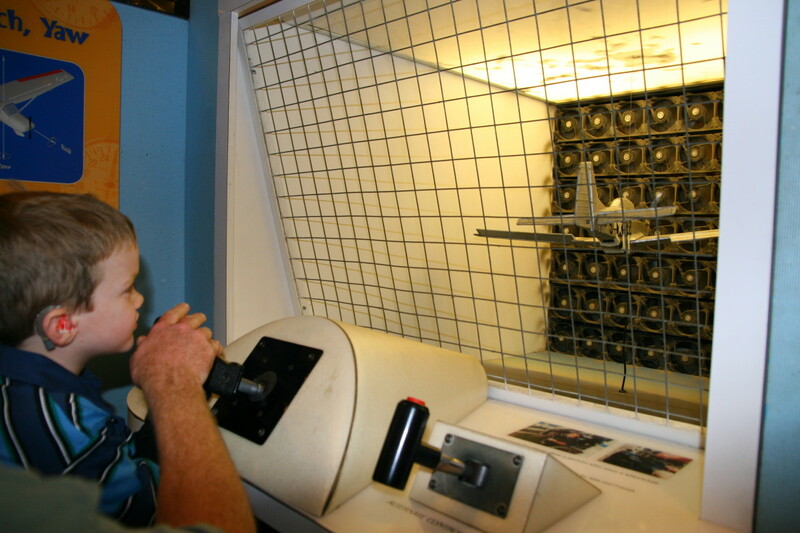 Children can touch a real moon rock, climb inside a 747 to see the cockpit, walk through a mock-up of Skylab, and experiment with the physics of flight with hands-on exhibits. The Imax films are a bit pricey, but considering the cost to attend the museum is free, well worth the price. Subsequent films purchased over the next day or two are discounted. The author's sons are ages five and six, and greatly enjoyed a 3-D presentation of a "Sky Racers" film on the giant Imax screen. Viewing a film in the planetarium is also highly recommended - the dome provides a unique movie experience for kids. This museum could easily take more than one day to view. 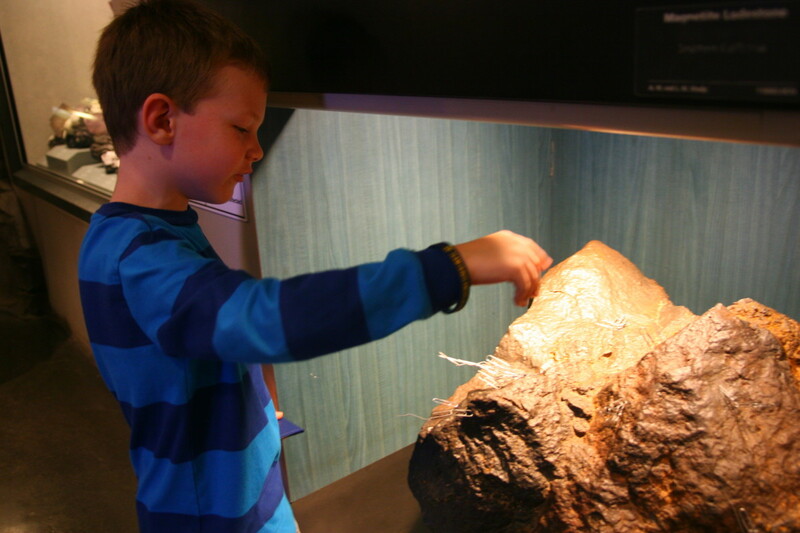 Fossils of dinosaurs, early mammals, gems (including the Hope Diamond) and a butterfly forest captivate the imaginations of children. 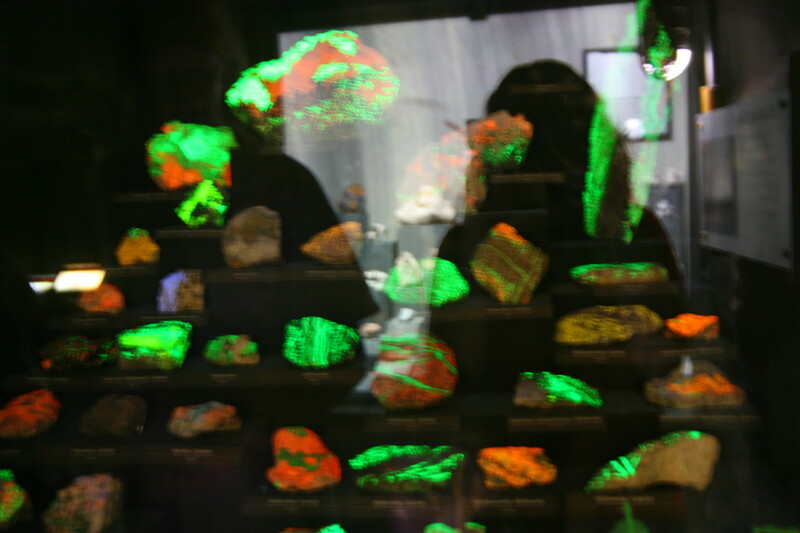 The author's six year old son particularly liked the gem and mineral exhibit. 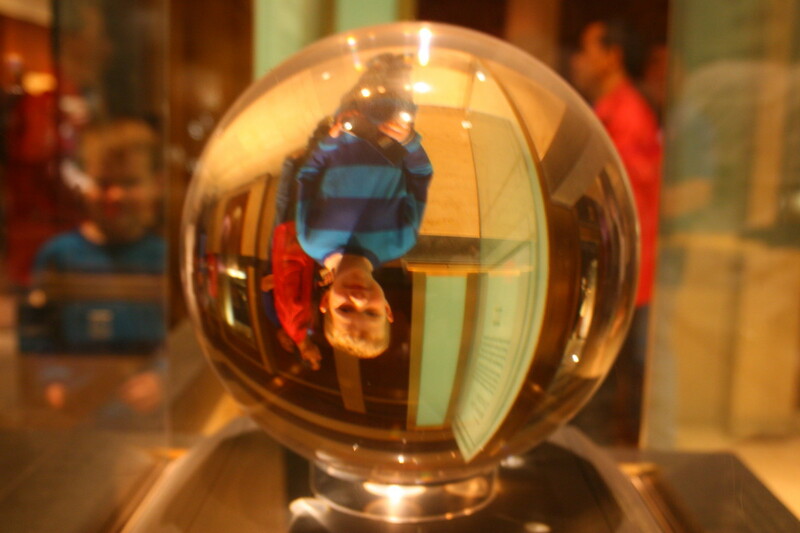 He was amazed to peer the world upside-down through a spherical crystal, attach paper clips to a giant magnetic rock, and see rocks fluoresce under black light. The National Zoo is not on the Mall, but is an easy metro ride from the city center. As with the other Smithsonians, the zoo's admission is entirely free. Special exhibits include the Giant Pandas (on loan from China) and the Think Tank - a research oriented facility where zookeepers and the public can interact with Orangutans. Orangutan interaction times are posted daily - though the animals may not decide to arrive as scheduled! The children's area of the zoo has a playground shaped like a large pizza, allowing little ones to let off some steam. The zoo offers a nice change of pace from museums for small children. The White House is easily accessible from either the Farragut West Station or from the McPherson Square Station on the metro. Both stops are on the blue and orange lines, and require a short walk to see the residence of the President of the United States. Tuesday through Thursday from 7:30 - 11:00 am. Fridays from 7:30 am - 12:00 pm on Fridays. Saturdays from 7:30 am - 1:00 pm. Tours are self guided and photo ID is required for all guests who are 18 years of age or older. All tours are free of charge. The White House Visitor Center is located away from the White House, and is a great location to pick up the annual Christmas Tree ornament or other souvenirs. Washington, D.C. is filled with war memorials, monuments, historical markers, and government buildings. Read books about George Washington and Abraham Lincoln before a trip to the Capital, and point out the George Washington monument when you arrive on the Mall. At 555 feet tall, the monument is visible from many places in the city. Reading picture books about our nation's capital and watching videos before the trip will help children understand the city and will increase their appreciation for what they are seeing. The author's two young sons were excited to point out the Washington Monument whenever they could see it, and the six year old was quite enamored of Abraham Lincoln's monument, since he had read about the president in school. 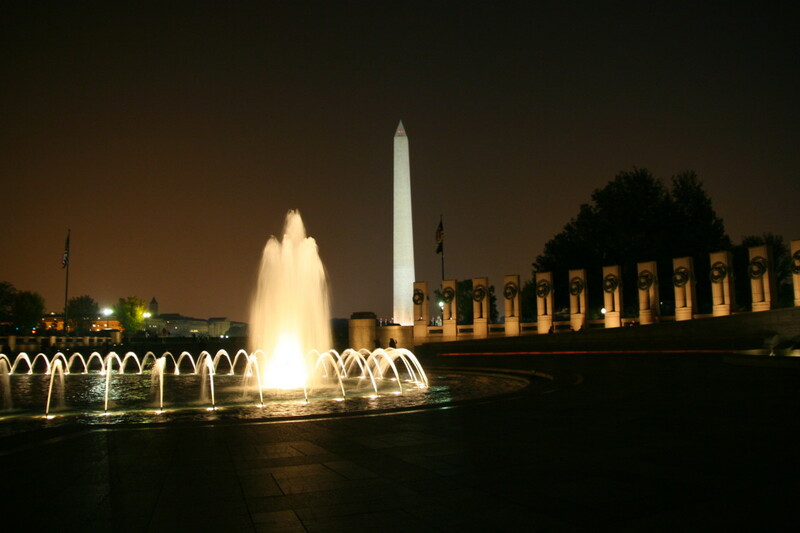 Touring the monuments at night is another great way to see the sights. The fountains and lights are beautiful at night, and the Mall is much less crowded than during the day. This also lets kids run off extra energy before heading to the hotel room at bedtime! This museum highlights architectural design and engineering. There are many hands-on exhibits for children, including a "building zone" for children 2-6 years of age. This building offers an air-conditioned respite from the summer sun, and has many activities for young children to encourage an interest in engineering and building. Tool kits may be checked out from the museum and enhance the museum experience: kits include understanding patterns (ages 3-7), building houses (ages 7-10) and more. A free tour of this building will interest kids as they watch millions of dollars being printed. This tour takes 40 minutes and includes a movie and tour of the gallery where money is printed. Check out the visitor's center and gift shop for a few unique souvenirs. This museum won't interest preschoolers, but elementary school aged children (and teens) will love the interactive exhibits about spy techniques and history. For older kids and teens, a program called "Spy in the City" allows families to use a GPS to navigate the city to complete a mission. The museum recommends its experience for children ages 7 and up. 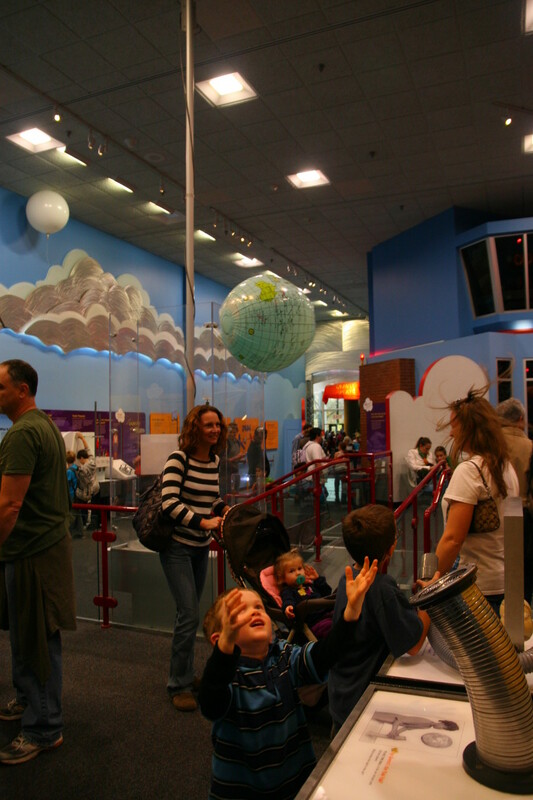 With a grand opening on December 14, 2012, the National Children's Museum is the perfect place for families with young kids.This museum offers educational exhibits to all children, including areas for toddlers under the age of three. Mount Vernon is the site of George Washington's home, and is a very interesting tour for children who are in the elementary school age-range and up. Touring the first president's house is a fascinating experience for kids, who can put a real location and a real house to the facts in their history books. A sobering trip through the slave cabins opens dialogue about the antebellum south. A free "adventure map" is available to families who purchase a youth ticket at the Ford Orientation Center. Monticello (Thomas Jefferson's home and gardens) is another great tour option for families with kids ages 5 and up. Kids will be enchanted by Jefferson's inventions, and can even try out a few of his designs in the hands-on Griffin Discovery Room. Kids can try on period clothing, touch a mastodon bone, and create secret codes. At the mountaintop hands-on activity center, kids can write with a quill and try games from the 18th century. 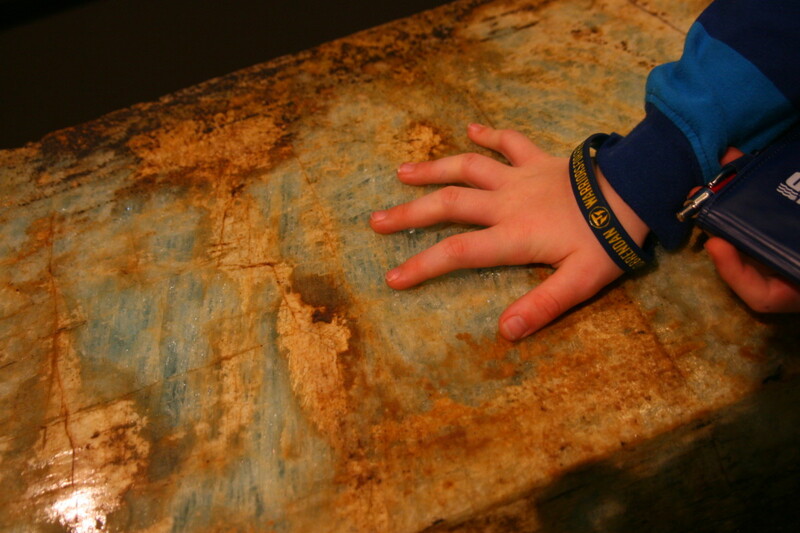 Thomas Jefferson's home is a wonderful destination for families with children ages 5 and up. Consider taking a cruise up the Potomac to reach George Washington's home, which will bring history alive for families with kids ages 7 and up. 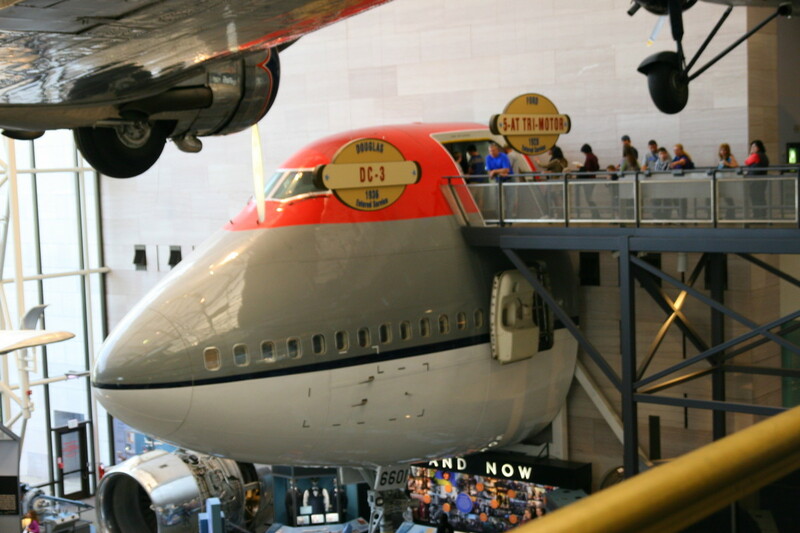 The Smithsonian Air and Space museum will thrill kids of all ages and is easily accessible on the National Mall. Admission is free. 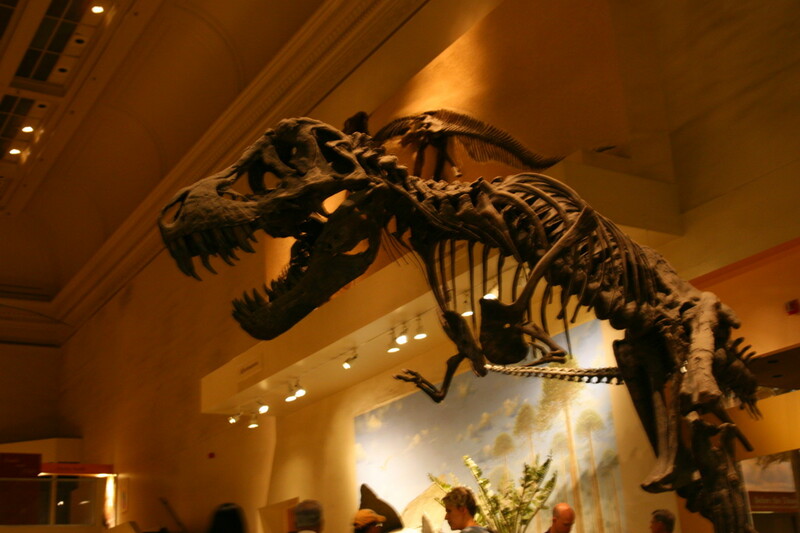 Located on the National Mall, the Natural History museum is a favorite of visitors to the nation's capital. A great, interactive experience for families with children ages 7 and up, the International Spy Museum offers insight into the world of espionage. 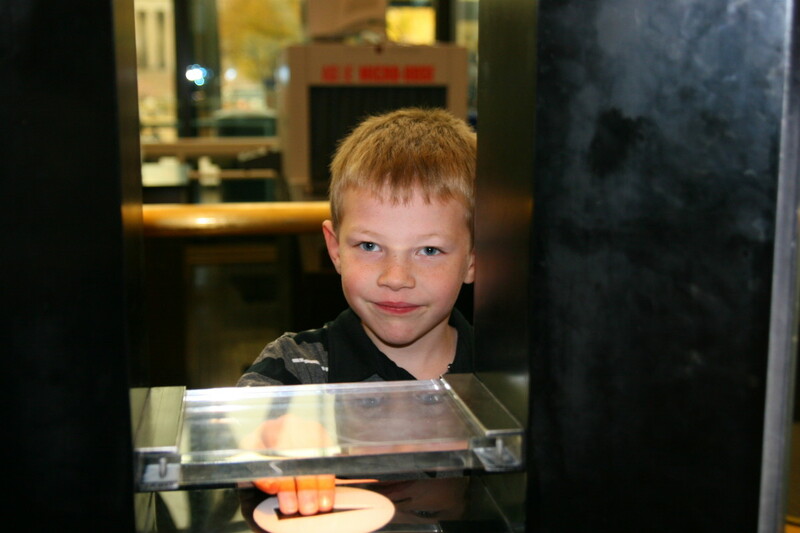 Kids will enjoy watching the printing process of millions of dollars on this free, 40 minute tour. 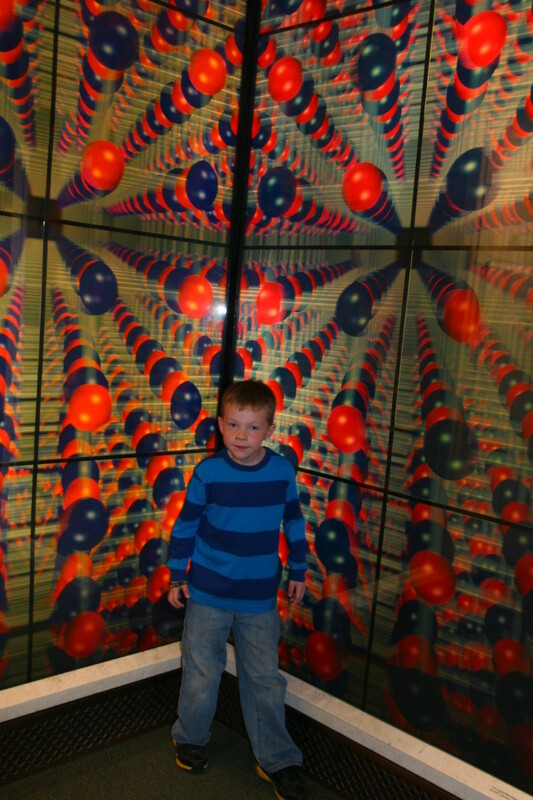 Hands-on architecture and building exhibits make this museum a great choice for families. Located in Oxon Hill, Maryland, the National Children's Museum is dedicated to kids under the age of 12 and their families. 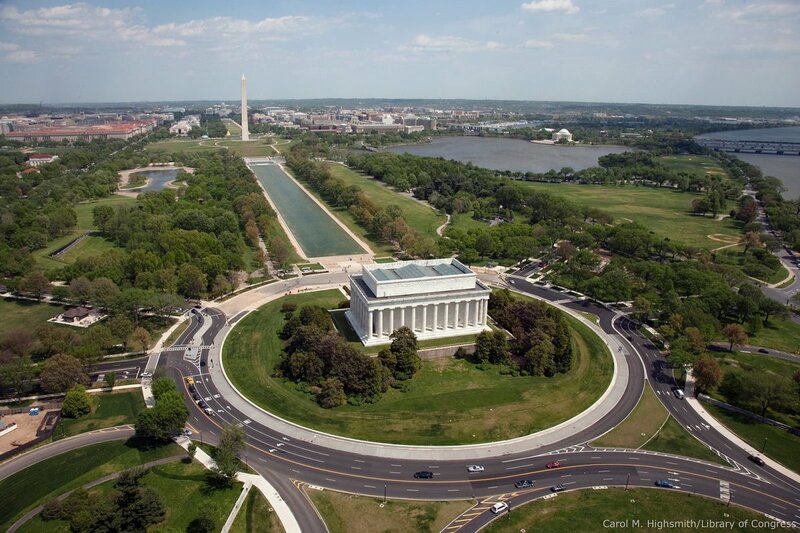 Ideas for Family Vacations and Road Trips From Illinois to Washington D.C. I would love to live in the D.C. area, Deborah. It is such a cool place to visit! I love the ability to walk everywhere and the Smithsonians are fabulous. We have family in Virginia and may stay with them the next time we visit the city. There is a lot to do in the area, Li Galo. We were only in the city for three days for our last trip, and one of those days was spent watching my husband run the Marine Corps Marathon. If you are going to spend 2 weeks in the area, I would recommend seeing several sights outside the city as well. Will you have a car? Shenandoah is absolutely gorgeous and well worth a side trip - you can hike around a bit. Manassas is also nearby, and an interesting trip to a civil war battlefield. I would also check out Baltimore if you have time, and catch a performance at the Kennedy Performing Arts Center in D.C. 2 weeks is a long time to spend on the National Mall (while there is plenty to see, you can get bored with heading to the museums over and over again). Try to get tickets for a White House tour! I'm planning on going in the late spring of 2013. I'm glad you shared with me how much time is needed to tour the area. Based on your observations, I'm planning on a two week stay there. Thanks for the info. I enjoyed reading it! If you ever get a chance, make a visit to the Capital, Lindacee. It is a great city to visit. While this article focuses on visiting with children, my husband and I have been several times and really enjoy the trip as adults. The restaurants are great, and touring Ford's Theater, Mount Vernon, and other historical places is a really fun thing to do. I have never been to D.C., but your Hub makes me want to go see the sights. Lots to do for children of all ages. Thanks for sharing your travel experiences with us! Washington D.C. is worth a return trip, Lipnancy! I hope you make it back soon! 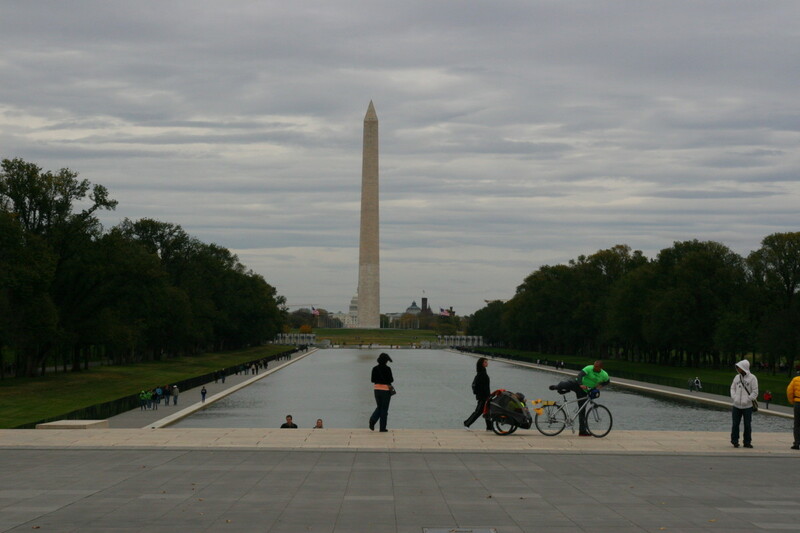 I would love to see Washington D.C. again. Thanks for all of the ideas. I absolutely love D.C., Deborah-Diane! It is a great place. I really love the fact that you can walk out of your hotel room, walk to the Metro, and be anywhere in the city within a few minutes. 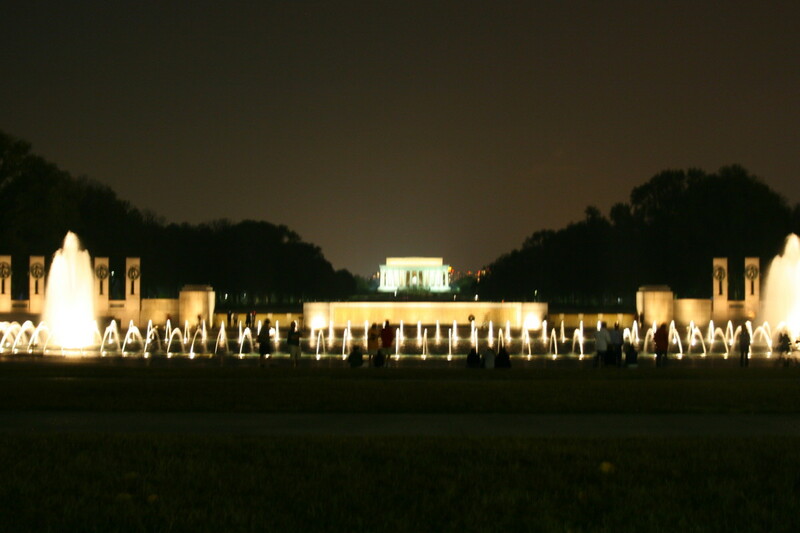 Walking around the monuments at night was a really nice way to spend the evenings. 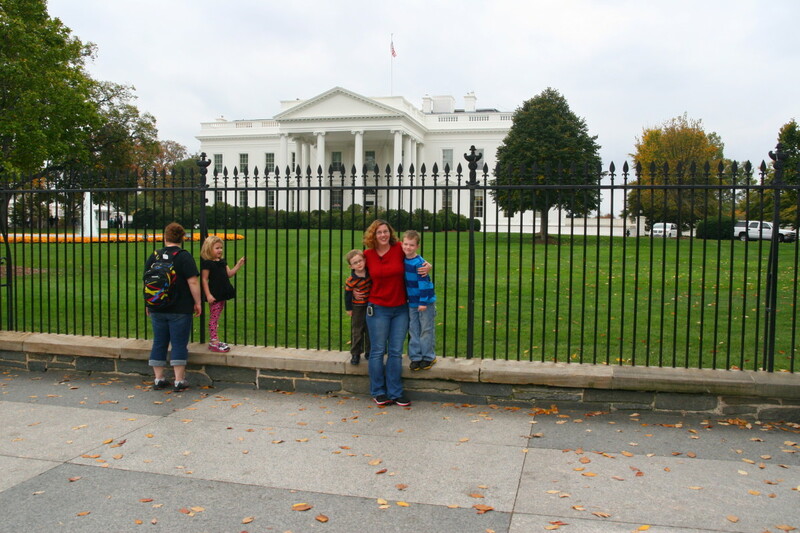 We have taken all our children to Washington, DC, and most of our grandkids have been there, too. It is well worth the trip! You provide very helpful information. Peggy, we really want to visit when the cherry blossoms are in bloom. It is absolutely stunning in the early spring! You should definitely make the trip - nearly all of the attractions are free or very low-cost (though the hotels can be expensive). We stayed in Crystal City and had easy access to the Metro. Thanks for the votes and shares! This is something that I would love to do someday! Combining a visit to Washington DC when the cherry trees are in bloom would be icing on the cake! Thanks for the descriptions of all of the many museums, etc. Up votes and sharing. Definitely make the trip, CassyLu! It is a great city to visit. Matt is nearly seven and was the perfect age for the trip. Nolan is just five (and has a few health issues), and it was difficult without a stroller. There is a LOT of walking, but you can use the hop-on, hop-off bus for most of the sights. We tend to spend a lot of time at a single museum (mostly because of my five year old's fatigue issues), so we spent an entire day at the Air and Space Museum. There is SO much to see in the Capital! I completely needed this hub! My husband's grandmother lives in the DC area and we were waiting till our kids were a little bit older to go so they would enjoy the museums more. This is an excellent guide to DC that I will be bookmarking for later :) Thanks leah!!!! Voted up and shared! 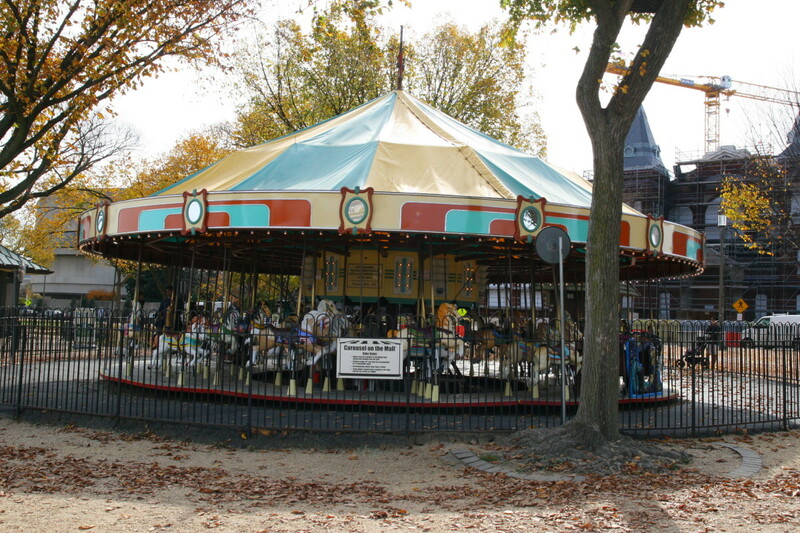 Growing up in Arlington - what a cool place to experience childhood! You must have really been immersed in the area, Glimmer Twin Fan. We love visiting cities, probably because we live in a rural area. Washington, D.C. is one of our favorite cities to visit! It is really impossible to see everything in DC in one trip, teaches12345. We have been to the city a couple of times and still haven't seen everything we want to see! I know my boys would love the spy museum, but they need to be a bit older for the experience. This is an awesome hub! Having grown up in Arlington I know all these sights. Sadly I don't live in the area anymore, but still get back often to visit. My daughter loves all these places! Thanks for a great hub. Voted up! I would love to tour DC with my grandkids. Your post is one that really brings out the highlights for families. I have been there once before, but would love to see all the sights I missed, some you have mentioned and I am even more excited about seeing them. Great post. My five year old would have been much happier with a stroller on our long "walking" days - it was a bit much for him. 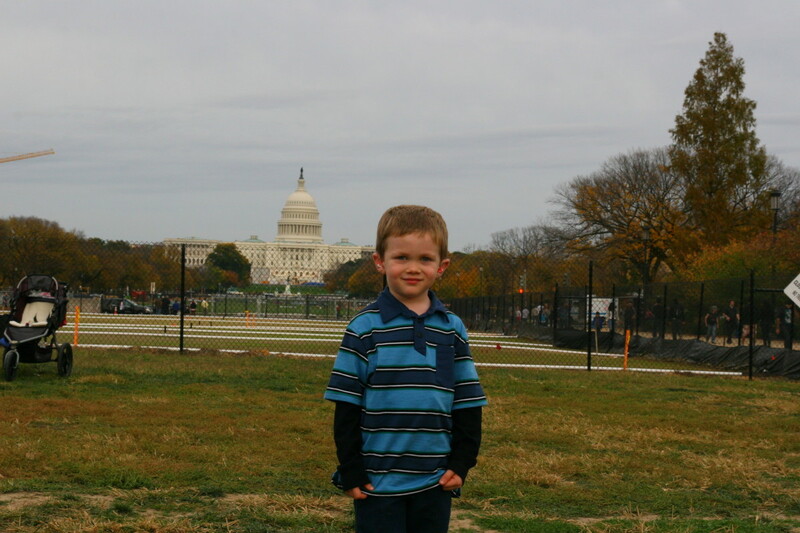 My six year old (who is really almost seven) was absolutely fine - but D.C. does take a lot of walking! I love D.C., too, ktrapp. 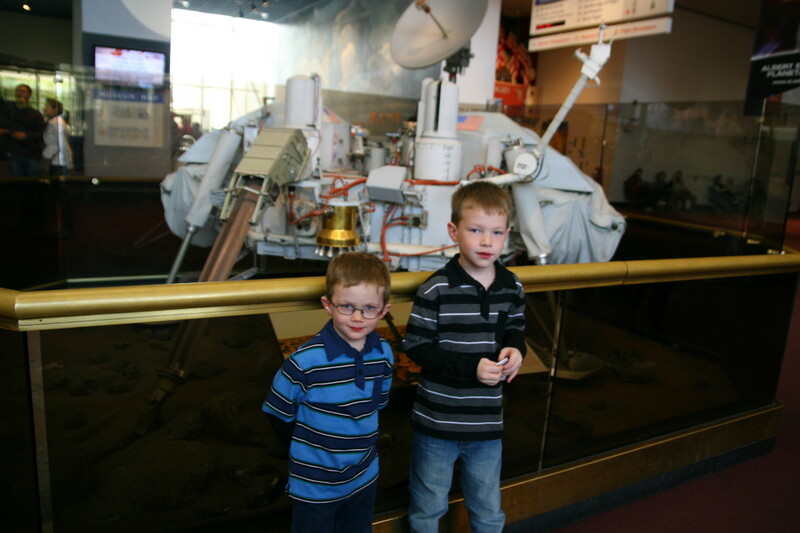 It is a fantastic city and we are huge fans of the air and space museum. The one at Dulles airport is really cool, too. We didn't go into the American History Museum (where Dorothy's shoes are), but we will definitely make it to that museum on our next trip! This was a wonderful trip down memory lane for me having visited D.C. several times when I was younger and once on a high school trip. I love all the helpful tips you give parents like holding onto the metro cards or ages that may need strollers. When I was a kid I think my favorite things were the air and space museum, the Pandas at the zoo, and Dorothy's ruby red slippers from the Wizard of Oz in the Smithsonian. This is a terrific guide and a must-read for parents taking their kids to the nation's capital.